Kemp Lake is a 215-acre farm and game preserve in Leasburg, Missouri with the primary goal of empowering and educating disadvantaged people to experience the outdoors in ways they normally couldn’t otherwise. In short, its a place where they can come and have fun! A disabled veteran might deer hunt like he had before his injury. 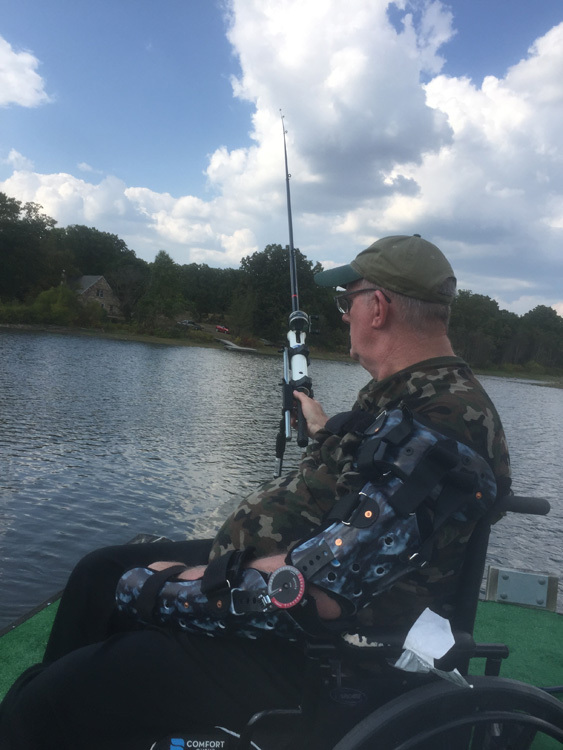 A stroke survivor fish again for the first time in decades. A home-bound, limited-mobility elderly person take a guided bird-watching excursion through the woods. A intellectually-challenged child discover the fun if a hayride. 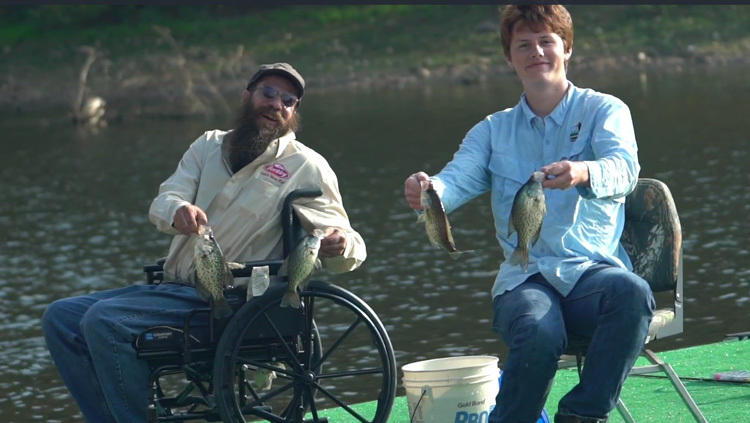 Kemp Lake Game Preserve is a unique environment that has been thoughtfully planned and built to allow disabled and handicapped individuals a complete outdoor experience. If you think you or someone you know might make a good participant, please complete the appropriate form here. Volunteers can find it a very rewarding and fun experience to help participants in activities at Kemp Lake. If you would like to become a volunteer, please complete the form here.